The science behind successful orthodontic treatment requires a thorough understanding of biology and physics. For example, Newton’s Third Law. “For every action, there is an equal and opposite reaction,” describes the literal force necessary for tooth movement, realignment and bite correction. Therefore, Orthodontics uses physics, including the understanding of torque, pressure, pulling, pushing and the appropriate counteraction to straighten teeth. According to Newton, forces always come in pairs -- equal and opposite. But what about those unusual cases where a simple back or forth isn’t going to correct an orthodontic problem? Sometimes equal and opposite means that in order to move a tooth the desired way, you must work up, down, in and even outside the mouth. For some patients, this means successful treatment may require headgear be worn for up to 12 hours or more per day. Ugh! But for others, there can be great news in the form of a little titanium screw called a temporary anchorage device or TADs. 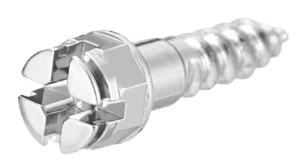 These mini biocompatible screws are implanted into the jawbone to serve as anchors to aid in realignment. 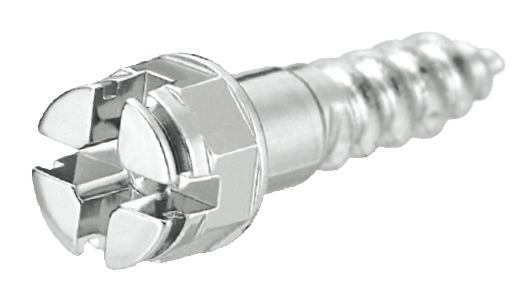 As the name implies, these mini implants are used temporarily then later removed after treatment. In some cases, Dr. Razdolsky can employ TADs as an alternative to headgear allowing for greater results in a less invasive way. TADs devices deliver more predictable results, can reduce treatment time, help avoid the removal of teeth, circumvent surgery and can even help patients avoid headgear altogether. Take for example the case of a gummy smile. Truly there is not a set definition of what makes a smile gummy, but you’ll likely know one when you see it. 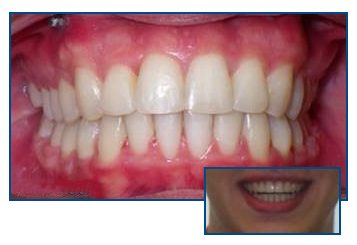 Often patients who are considered gummy have an excessive gingival display of about 3mm or more. It is interesting that the condition is more common in women than men. Additionally, there can be a number of causes, and therefore treatments available – including in some instances TADs. 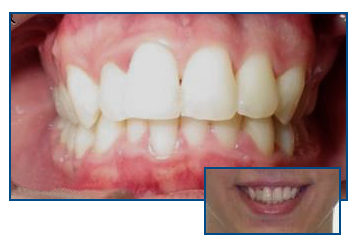 Take, for instance, the patient in example one (left) has extended maxillary central incisors. 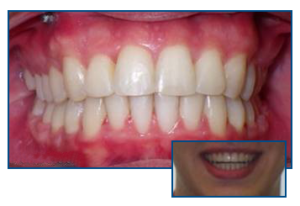 Through the use of TADs, Dr. Razdolsky and the team were able to apply the proper force to vertically align the patient’s teeth for a straighter smile. Similarly, the patient in example two (right) had both bicuspids lifted into alignment for a nice even aesthetic. But what makes TADs even more impressive is when they are employed in more complex cases. 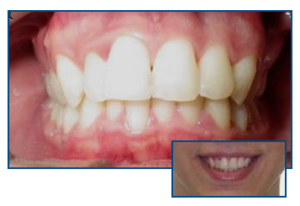 Just take a look at the study diagrams below and see how Dr. Razdolsky uses TADs along with a lingual arch to shift the second maxillary molars and completely realign this patient’s anterior open bite. Pretty cool when you think about it. All this from a tiny, but very mighty little screw. The force is strong with this one.